This post contains major spoilers for Kingsman: The Golden Circle. Who would have thought that an action movie about British spies with weaponized umbrellas and high-tech tuxedos would turn out to be a scorching public service announcement for the burgeoning pot industry? Spread out your rolling papers and get your 10 bags of Doritos ready: Not only is Kingsman: The Golden Circle fighting for moviegoing audiences, it's keen on helping smokers everywhere. It takes a dastardly Julianne Moore to do so. The Oscar-winner plays Poppy, a deranged druglord hiding in plain sight in Poppyland, a self-made paradise deep in the middle of nowhere filled with unlimited cannabis, live Elton John on loop (the Rocket Man actually appears in the movie as one of her prisoners), and countless peons she can grate into hamburgers whenever they step out of line. 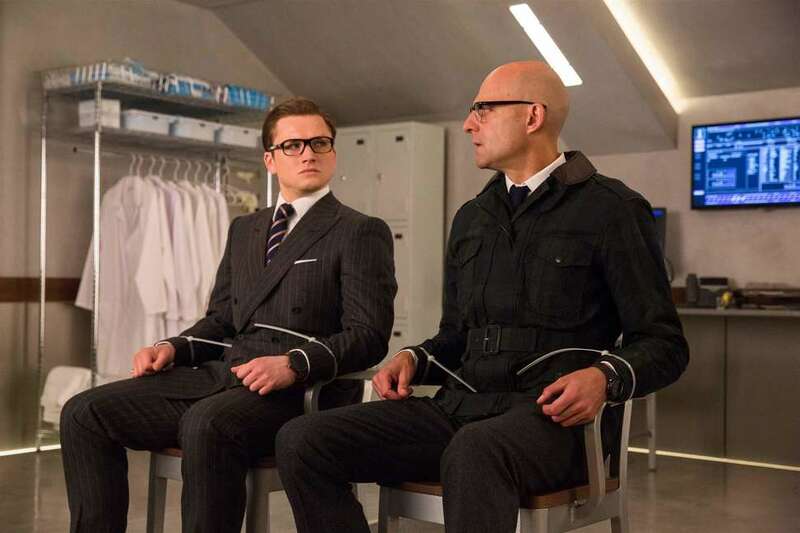 Never mind that she turns her employees into dinner and has enslaved one of the biggest music icons ever, it's the fact that she has been poisoning her pot with a lethal substance -- killing millions of users around the world -- that propels our two Kingsmen, Eggsy (Taron Egerton) and Harry (Colin Firth), on the next flight out to stop that madness at once. 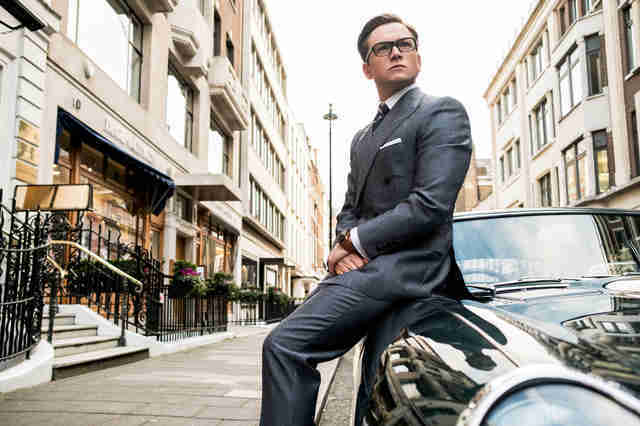 Despite its controversial motivation, Kingsman doesn’t portray pot users as silly stereotypes. Eggsy’s loyal girlfriend, Princess Tilde (Hanna Alström), succumbs to the drug after the two have a bitter argument that could mark the end of their relationship. His friend Liam (Thomas Turgoose) is just chilling at home minding his business, looking to take his mind off things for a bit. Clara (Poppy Delevingne), a woman who tries to hook up with Eggsy on his way to Poppyland, is hanging out at a Woodstock-type concert, so when in Rome, amirite? And Tequila (Channing Tatum), the Southern charmer working with Kingsman competitor Statesman, which teams up with Kingsman in the film, is stricken just when they're about to set off on their mission. I mean, no decent person would let anything happen to Channing Tatum, right? But the film’s most crucial statement comes when we learn that Chief of Staff Fox (Emily Watson), right hand woman to the US President (Bruce Greenwood), becomes afflicted with Poppy’s mystery drug. Turns out POTUS is working with Poppy to annihilate drug users everywhere, and Fox’s diagnosis is a nuisance to him. The revelation, however, comes after Fox somberly tries to explain that she resorted to the drug in order to remain steady in her stressful job trying to keep the Oval Office in check. She didn't just smoke for pleasure, but self-medication. The Commander-in-Chief still banishes her with the others to extended quarantine in an incubator. Which raises the question, why isn’t it legal? Especially when you can remain functional and it could actually help you perform better at work? Even the other characters who take the drug aren’t harming anyone, not even themselves. In fact, they are the ones being harmed. As this movie highlights, their own government vilifies them, though it is sociopolitical pressures that necessitate their dependence on the drug in the first place. Clearly there is a need for countless people on the planet to be on the drug, so unless the government plans a genocide, Kingsman suggests it take a long, hard look at the real problem -- the drug’s lack of accessibility and its overwhelming shame.